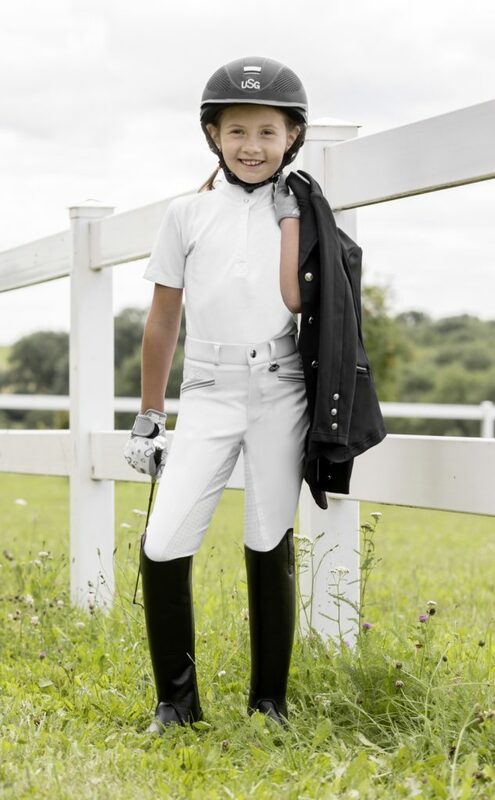 The Children’s Ava Breeches have the same casual, yet sporty and stylish look as the Women’s Ava Breech. The comfortable material compliments the body and the silicone full seat provides extra grip in the saddle. Available in White with White/Grey with pocket accent detail. Full seat with Lycra bottoms. Great for the competitive young rider!